Extremely well-made! Love the jacket! Just meh. Fit and finish is poor, lots of loose strings. Fits large, but the originals did too, so that&#39;s probably good. Lots of little missteps, like the draw cord on the bottom having an eyelet on one side, but it just threads out the end on the other, nothing to keep them there but a loose knot (no end piece to prevent pulling through), the waist draw string is the same with a small knot and the string is clearly not the same robustness of the original. Hood is oversized, so it fits over a helmet, like the originals. I orderedblack and it has lots of soap marks from where the child laborer lined up for sewing...Oh, on that note, a military recreation and we are outsourcing this to the Peoples Republic of China? Common, at least get a latin country like most of your other stuff (I prefer the USA made stuff like the multicam BDUs, obviously, but lets not go to the absolute bottom for outsourcing the rest) Has an odor to it as well, hopefully will wash out. I bought it on sale, and I wasn&#39;t expecting much, so I&#39;m not really disappointed too much, but temper your expectations with this one. It will be a good wook outside/tractor work kind of jacket. Issued to me as part of my regular winter uniform. Great coat, great looking, easy to maintain. Never a cold night with this thing on. Top quality coat. Bought it as a Christmas present for hubby. He loved it. The coat runs big, so be careful about the size. These are by far my favorite jackets! Now if we can just get them in A-Tacs IX!!!! The OD version is about as close to the early M-65 Field Jacket as you&#39;re likely to find in current production and under a hundred bucks. The NYCO sateen is authentic, as are the brass zippers. 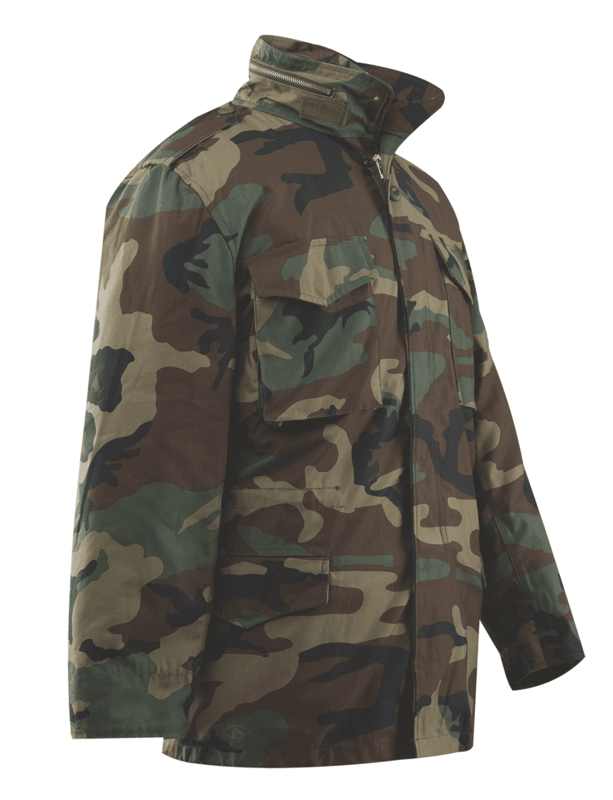 It even has the button on the storm flap and buttonholes on the collar for attaching the M-51 parka hood, which fits perfectly on this field coat for extreme cold weather adaptation. 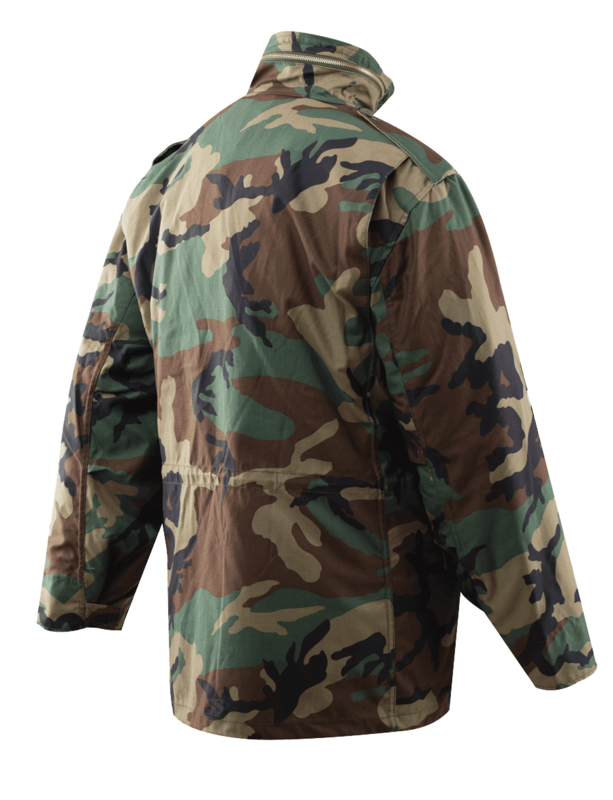 A good looking, highly functional reproduction of this Vietnam era field jacket. The size runs to the large side, and the cuff closure on the sleeves could be tighter. Good jacket, though. USGI surplus liners will button right into this jacket, too, if you want to add an extra layer of insulation. I find it completely frustrating to not be able to buy this jacket in the Multicam Pattern!